THE MANDALORIAN added a couple of new cast members this week, and we have insider information about the production from our rebel spies. We pay tribute to Stan “The Man” Lee with some rare audio highlights from Stan’s career and discussion about his role in greenlighting the original Marvel STAR WARS comic. We have the latest updates on the STAR WARS: GALAXY’S EDGE parks at Disney, along with info from Disney CEO Bob Iger. STAR WARS: RESISTANCE season one continues and we review “Children of Tehar” and “Signal from Sector Six”. James Burns from Jedi News checks in to talk about Queen and STAR WARS. 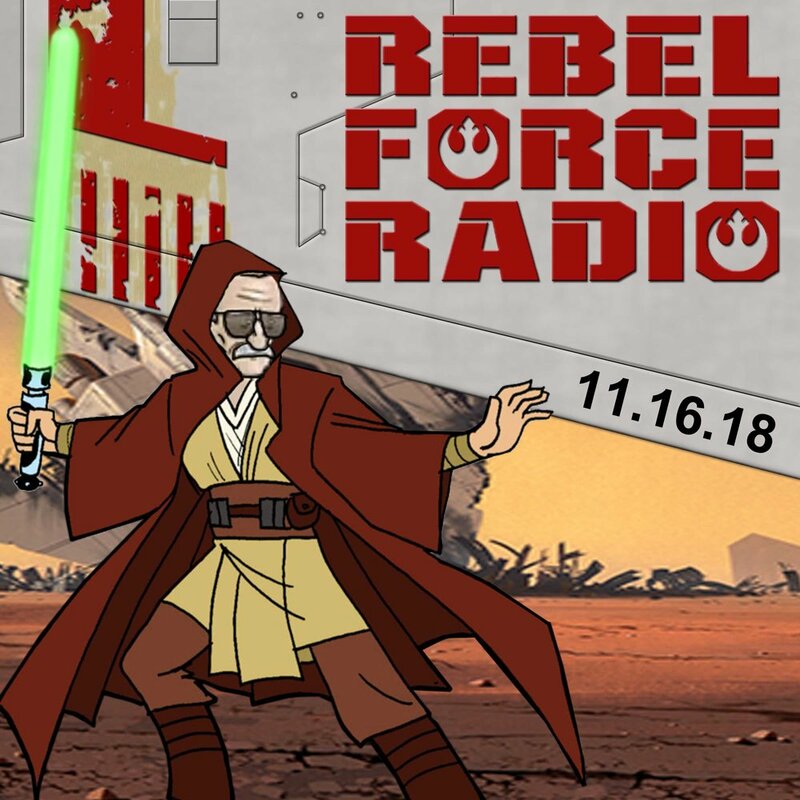 Simon Pegg misses George Lucas, Natalie Portman talks about THE PHANTOM MENACE, the RFR Voicemail Hotline and more.